Service Design is relatively new. Most FinServ organizations are not. Based on extensive industry research and feedback from our Service Design sector events, including Design Thinking, the urgent need for customer centric, digital transformation in financial services is stronger than ever. 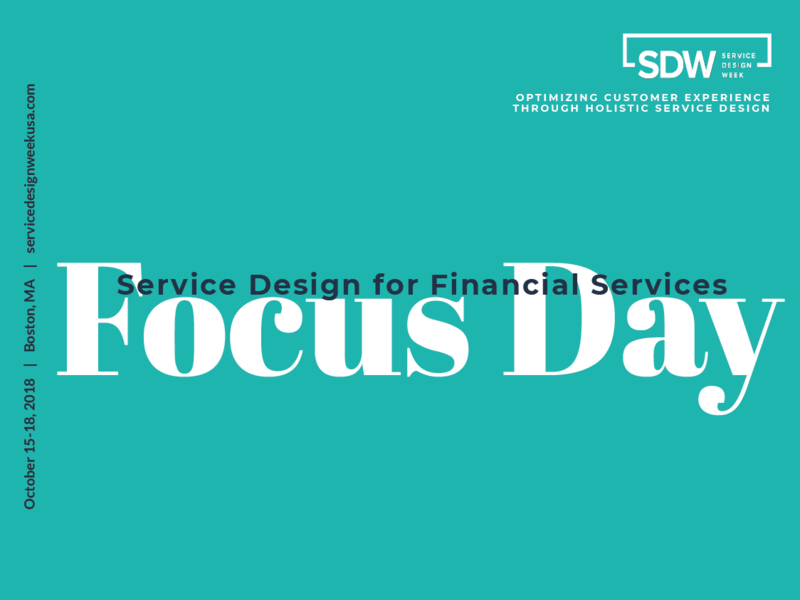 The Service Design for Financial Services Focus Day will dive deep into approaches and methods that are considered valuable in gaining buy-in from business and system partners and innovating through regulations and compliance requirements. - How Can a Strategic Design Function Impact a Financial Services Organization?